It's perhaps a well-worn analogy but when a ship sets sail and leaves harbour, the captain doesn't simply start the engines, point the ship in the general direction of the anticipated destination and expect to arrive. To assume the vessel would 'get there' would be ridiculous; it would be lucky to get out of the harbour. Of course to get to its destination, readings tracked from the ship's instruments tell the captain where we are in relation to our destination so that he/she may make the course corrections necessary to MAINTAIN the ship's direction. Only this way will the ship arrive at its precise destination. Similarly, the success that you will experience in arriving at your goal or 'destination' will depend not only on 'starting your own engines'. Your initial enthusiasm is powerful and will give you the 'thrust' you need to get moving but it will not 'steer' you. Maintaining your success means monitoring - or tracking - your progress. Put simply, the more you track the more likely you will be to achieve your goal in the shortest possible time. Conversely the less frequently you track the less likely you will be to reach your goal. Why is Tracking so effective? Just as the ship's captain needs to know the position of the ship so that he can make fine adjustments to the ship's course in order to arrive in the right port, so too will you need to know where you are in relation to your goal. If the captain was to track his instruments every few hours he may find himself far off course. If he tracked every few days he may soon find his ship run aground or wrecked. Indeed if you were a passenger on this ship and had any knowledge of navigation, you'd probably expect the captain to be tracking frequently in order to quickly and safely get you to your destination. Now think of this in terms of your own goal. If you don't track at all then it's likely your not serious about your goal. If you don't track frequently enough then you'll go off course and risk not getting your goal. 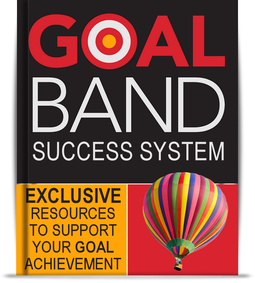 Only by tracking your progress frequently can you expect to win at achieving your goals. If you want your goal but you can't be bothered tracking you probably won't get there. If you start tracking but later decide it's an inconvenience you probably won't get to reach your goal. Remember. Achieving goal success will ALWAYS require interruption of the daily behaviours that you have habitualised so far. The habits you currently have are NOT the habits of the person who is in possession of the goal that you are seeking. If you truly desire to achieve the goal that you claim to be seeking then tracking will help get you there. There are no 'buts' - you NEED to track. One section of the Success System explains how willpower is meant to be a short-lived intense focus and how it is inevitable that enthusiasm will fade or be tested from time to time. Tracking not only quickly identifies a receding enthusiasm but the logs that you create during the tracking process can provide a much needed boost to enthusiasm levels during testing times. They can stoke the embers of willpower to get it fired up again to get that intense desire burning once again. Learn exactly how to track your progress in a way that will be useful and productive; in the right way that will lead you toward your goal.